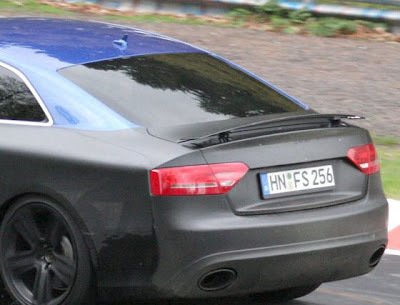 New spy shots of the Audi RS5 have hit the web and it's the same car we've seen before, again testing at the Nurburgring. This time however, it's clearly showing a retractable rear spoiler! For the full set of spoiler-equipped spy photos, head on over to Autoblog.